In Root Sunglasses we have for sale a great variety of Wooden Sunglasses , of different types and with different specifications, which we divide into several collections, each one of them, with differentiating concrete characteristics and destined to a specific type of public. Today we want to talk about what, we might call, " the jewels of the crown ." Our sunglasses collection aimed at a very specific type of customer. The type of client that, in addition to demanding differentiating, ecological and sustainable products, does not conform and demands the highest quality in materials and details. these clients also demand designs, which must be at the forefront of the latest trends in fashion and that, in addition, must be comfortable and usable both day to day and on a special occasion. Today we talk about trends in our collection of Premium Wood Sunglasses. In the collection of Premium Sunglasses, both in the version of adjustable sunglasses that we talked about in a previous post, and in the sunglasses of Premium Wood in standard version , we included sunglasses made with different special techniques where we use premium woods that we select for their beauty and characteristics and where all the details are taken care of to the maximum. So in these collections you can find from solid zebra glasses coated with pages of periodicals or comics, or solid ebony wood with ethnic engravings on the sideburns , glasses where we combine steel and other metals with premium woods, or glasses made with laminated wood where we combine several woods in a single model. The result is always a differentiating piece, delicate, beautiful, very comfortable and that surprises both locals and strangers. 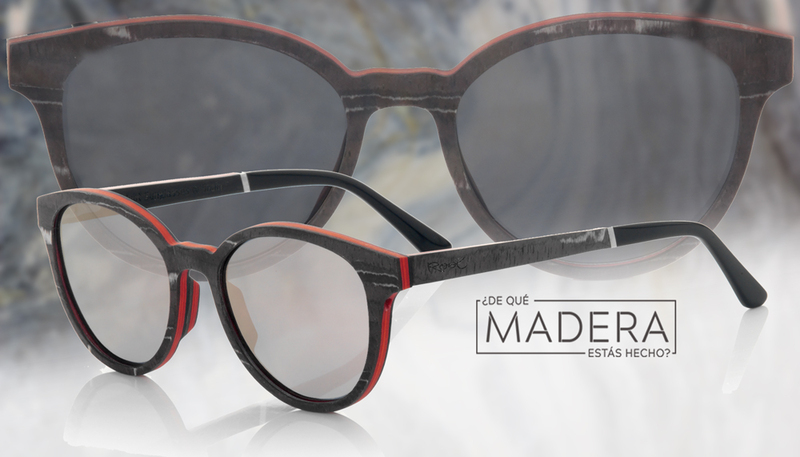 For this 2019 we have introduced a variety of new models of glasses in our catalog within the Premium Wood collection, and almost all the novelties in this collection have several denominators in common. They are very thin models, barely 4mm thick in the frame, they are light to the eye with contained volumes, with a subtle and delicate aspect, which is not fragile, where the beauty of the different woods and the harmonious shapes of the designs are the real ones protagonists. 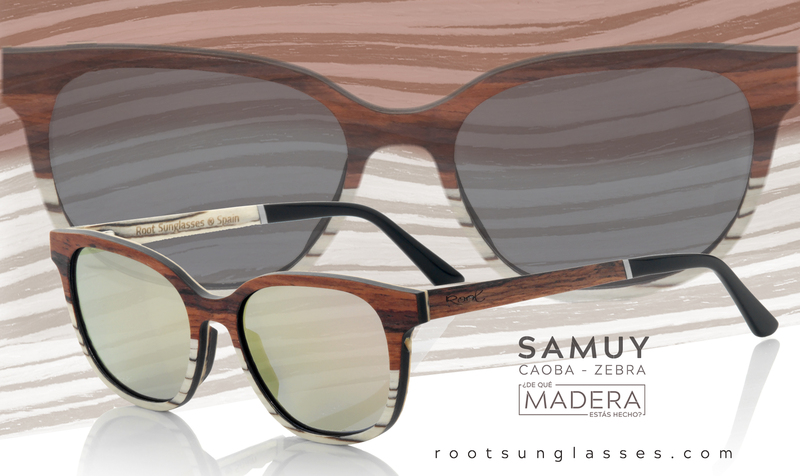 The comfort and lightness, with only 22gr of weight of average in these models, is another aspect to stand out, next to the possibility to mount lenses graduated in many of them,The great trend of Root for 2019 in the collection of premium woods is minimalism in sustainable vanguard designs made by hand with wood of great beauty where comfort is a priority. Almost all these new models are manufactured with a laminate technique, where different very thin layers of wood are joined by interlacing sheets in the direction of the grain with other sheets against the grain which gives all these models a consistency and resistance to breakage exceptional. In the temples we will find, precision springs for an adjustment to the perfect face, metal details and acetate terminations with internal rods to allow adjustment if necessary. As for lenses, we mount polarized TAC lenses, with hydrophobic coverage and UV400 protection. You will find these models in a selection of standard colored lenses with and the ability to customize them with the lenses of your choice.